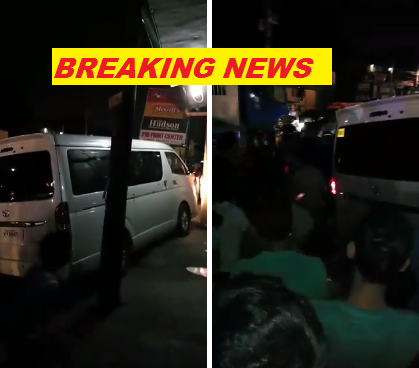 San Fernando, Cebu Mayor Lakambini Reluya survived an ambush while his husband dead in Barangay Linao, Talisay City, Tuesday night, January 22. Her husband, Ricardo, and two others were confirmed dead, while the mayor and two others were rushed to the Talisay City District hospital fro treatment. The mayor as of the posting is in stable condition according to report. Police are investigating the incident. Witnessed said the van was intercepted by another vehicle. Unknown perpetrators shot the van multiple times, hitting the three victims including the Mayor's husband. This is the third incident of ambush recorded involving San Fernando officials.